SET 1: Why Don't You Love Me? While this show may have taken place six nights later, this date is believed to be correct. This setlist is incomplete. 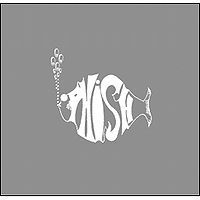 The show contained the first known Phish performances of Why Don't You Love Me?, Blue Monk, Boogie On Reggae Woman, Ya Mar, and Corinna. In the intro to Blue Monk, Trey said “Ladies and gentlemen, three quarters of the Bob Dylan Band.” Blue Monk subsequently contained an 'A' Train tease from Page. This late February show takes place in Slade Hall, a notorious hippie-dorm that was heavily selective in letting bands play there. At this point, though, Phish had played at Slade for several years and the band felt very comfortable playing in front of its friends. There's a noticeable difference between this playing and that of a week earlier (2/13/87). Fluffhead starts off like 2/13/87s version, with only Fluff's Travels added to the end of the piece. The Fire is really very solid, with great Trey shred. Suzy is particularly slow and lazy, with all of the instrumental sections led by Page and his electronic piano. Dear Mrs. Reagan may feature an additional vocalist although uncredited in the setlists. A super slow Camel Walk contains some really funky Page effects. Back Porch has some nice work from the whole band, but doesn't compare to the ripping 8/21/87 version. 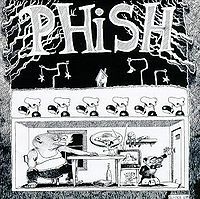 Blue Monk is a short jazz tune, but it sounds like there's some trombone in there from Fish after Trey introduces them as '3/4 of the Bob Dylan band". One can hear Mike and Fish playing and some horn noise. I guess we'll never know. Clod is super slow with no real exploration. Lushington is the highlight of the show, really. A near-perfect version, definitely worth listening to if you want to hear a good version of the song. After a false start, Peaches is pretty standard for the time, as is Boogie On. I like Mike's activity in Ya Mar and the playful way the band approaches the song for the first time. Page plays with a 'steel drum' tone, which is actually kind of good and I wonder why he doesn't resurrect it. I love this version of Corinna. Nice and slow. That really is the theme of this show. Dog Log and Alumni round this show out, but slow is the key to the evening. A nice Lushington and soulful Corinna highlight this show filled with songs that never made it fully into rotation in the 90's. My continuing trek through the early years now stops at Slade Hall where, luckily, the tape is a little better than the last two. Even so, it's a noisy AUD tape with a lot of chatter. As SlavePhan so eloquently paints the picture of Slade Hall, this show seems to come into better focus for me. Not that I was there, or have any inside knowledge, because I most certainly don't! But I can tell you that there is a really lackadaisical feel to the show as a whole. Lots of tracks are played very slow. There is a general lethargy to the jam segments. The vocals certainly aren't on the bright side. My theory (note that this is strictly a theory) is that the drugs at this party were probably pretty incredible and that what you're hearing is a derivative artifact. Fluffhead continues to impress. Well played and sung, but still without the Clod piece. Suzy is still miles away from what it will become. Very rough in this form. DMR always cracks me up because it's witty and not just silly. I really wish that they'd revive this as Dear Mrs. Trump. Next up is Camel Walk on ludes. 'Nuff said. I'm still digging on Back Porch Boogie and think that it should definitely be brought back. So fun! In my mind, this is the best jam of the show. Clod by itself is still really strange, and it doesn't work very well for me. I keep wanting it to land where it belongs in Fluff. Well, I gushed over the first Lushington (10/15/86), but I think I may like this one even more. Not sure... they're both really good. They should bring this song back. Peaches is sloppy and short, replete with a false start. Swing Low is played so slowly that it sounds like a blues. The first Boogie On is a good one, with Mike leading the way. This primordial funk is always welcome! Also extremely welcome is this debut of Ya Mar... Mike again, leading the way through the fog. Glad that this song has now joined the party. A mixed bag of a show. I'd like to rate this a 3.5, but you know that 1/2 stars aren't allowed.